Audi of America has posted a new video to YouTube featuring an interview with President, Johan de Nysschen answering various questions posted by fans via Facebook and Twitter. While the entire interview sheds light on many interesting current and future developments, one question made our ears perk up just a little higher. Will a new RS4 be coming to America? Trying to hold back a Cheshire grin, Mr. de Nysschen's response seemed very optimistic that a new RS4 could be produced. And if it does, he would be "very interested" in bringing the car to America. Regarding production of a new RS4 and future U.S. availability, de Nysschen answers as follows. 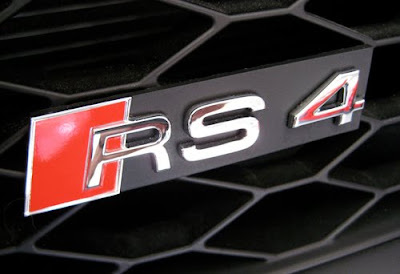 "There has in fact not been a formal decision to produce an RS4 even for Europe. But you know, if we look at our long history of producing RS versions of all our S models. And since there is an S4. I would say that if what's done in the past is any indicator, it's possible that an RS4 version could be produced. And then I would certainly be very interested in bringing it to this market." Reading between the lines (and reading de Nysschen's body language), we're now nearly certain that a RS4 will again be produced and eventually come to America. But the question still remains, will the RS4 be available as an Avant, sedan, or both? For more information on the future of Audi in the USA (including TDI, Allroad, Audi's return to American racing and more), check out the full interview below (the RS4 bit starts at 8:26).